Progress Report for: April, May, June. Hydrologic Investigations Related to Studies of “Anopheles” Bionomics. Produced by the Federal Security Agency, U. S. Public Health Service, Communicable Disease Center. 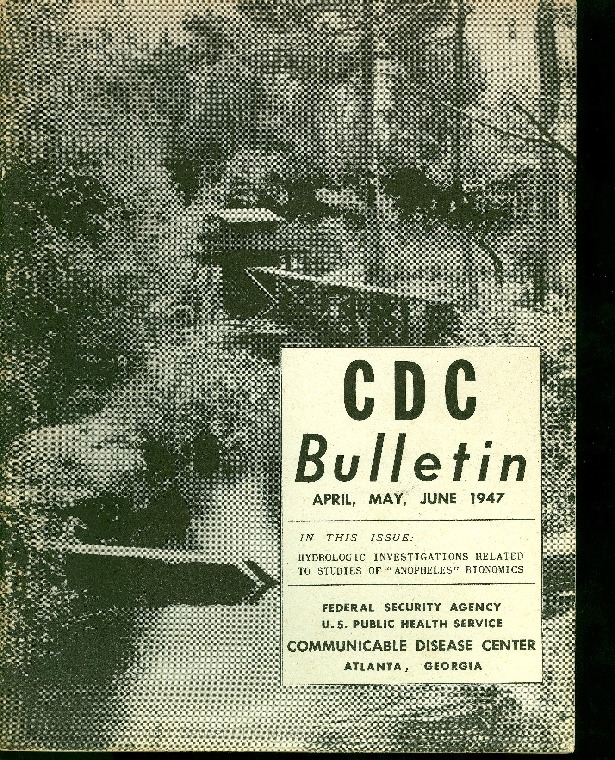 “CDC BULLETIN APR-JUN 1947,” The Global Health Chronicles, accessed April 20, 2019, https://globalhealthchronicles.org/items/show/5060.